October 11 is set aside every year to celebrate International Day of the Girl Child. The day centers on the need to address the challenges faced by girls and to deliberate on possible solutions to these challenges. We know that when girls are educated, their countries become stronger and more prosperous. This year, International Day of the Girl Child is celebrating the theme “With Her: A Skilled Girl Force.” October 11th will mark the beginning of a year-long effort to bring together partners and stakeholders to advocate for, and draw attention and investments to, the most pressing needs and opportunities for girls to attain skills for increased employability. The world of work has experienced a tremendous change brought about by technology, innovation, and the Internet of Things. There is a disconnect between the skills taught in schools and the skills required to get a job in the 21st century. 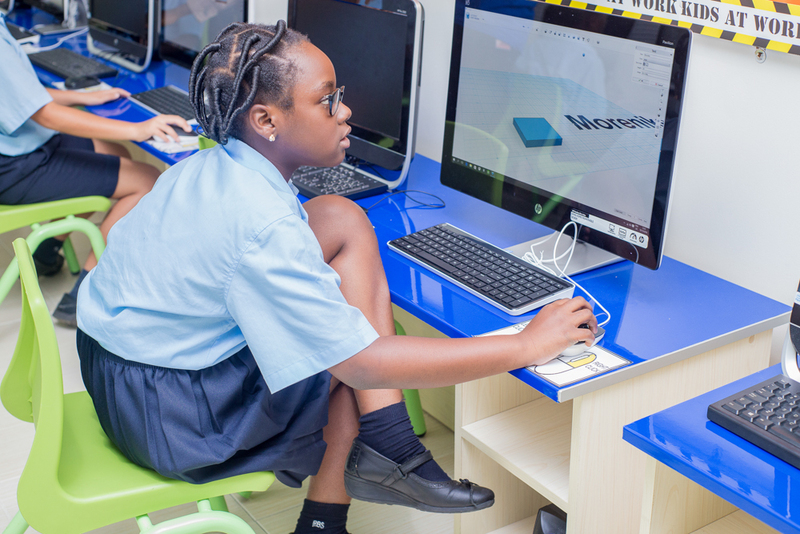 Skills such as digital literacy skills and critical thinking, as well as “soft skills” such as creativity, collaboration, and communication should be incorporated into the school curriculum. Planting the seeds of inspiration for the next generation to pursue STEM careers takes a concerted effort from many players across Africa. International Day of the Girl Child stands as a call to action for individuals and organizations to invest in girls now to empower the women of the future. By applying a gender lens to our educational programming, Youth for Technology Foundation gives girls hands-on experience with emerging technologies. They leave our programs inspired to continue their education and are better prepared to plug directly into the workforce. When girls and women are not exposed to Information and Communications Technology (ICT) subjects, they disengage. Systemic biases persist and cause girls to miss their chance to make their mark on the world. Girls in ICT Day is one of many ways YTF gives women and girls the tools they need to be successful. This is an annual event that is designed to encourage and inspire girls to pursue careers in ICT fields. YTF’s Girls in ICT Day offers girls the rare chance to experience the latest technology, learn about ICT careers, and be inspired by women leaders in ICT. In Nigeria, the educational curriculum doesn’t develop a link between STEM subjects and others in which girls may be interested. 3D Africa for Girls is helping solve the STEM gender gap in Africa by empowering girls to be problem solvers and inventors. “At YTF, we want to inspire a generation of curious doers. This starts with young people, and it starts with girls,” says YTF Founder and CEO Njideka Harry. Initiatives like 3D Africa for Girls are key to cultivating an environment where girls feel empowered to pursue STEM careers. When students interact with other girls and tackle STEM-related projects, they discover talents they didn’t know they had and career paths they didn’t know existed open up to them. All hands should be on deck to empower today’s girl child with the skills that will be increasingly relevant in the changing world of work. International Day of the Girl Child is an excellent opportunity to examine how public and private organizations can collaborate to ensure that every girl achieves her potential. About the Author: Peace Uzoma is a Program Manager at Youth for Technology Foundation in Nigeria.